DENVER--(BUSINESS WIRE)--The dark journey into insanity begins as “Batman: The Killing Joke” gets the big-screen treatment for one night on Monday, July 25, 2016 at 7:30 p.m. and 10:00 p.m. local time. Fathom Events, in partnership with Warner Bros., is teaming up with Warner Bros. Home Entertainment, Warner Bros. Animation and DC Entertainment to bring the acclaimed graphic novel-turned-film to select cinemas nationwide. 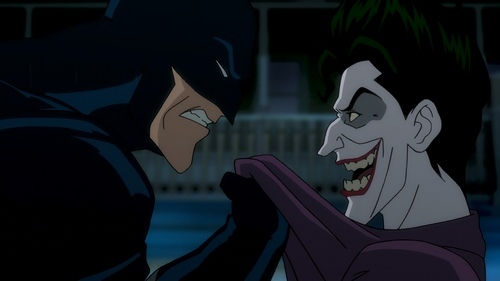 Tickets for “Batman: The Killing Joke” can be purchased online beginning Friday, June 17, 2016 by visiting www.FathomEvents.com or at participating theater box offices. Fans throughout the U.S. will be able to enjoy the event in select movie theaters through Fathom’s Digital Broadcast Network. For a complete list of theater locations visit the Fathom Events website (theaters and participants are subject to change).